Home Investor BlogsAirbnb Rentals Can Airbnb Investment Properties Be Passive Income Investments? Can Airbnb Investment Properties Be Passive Income Investments? 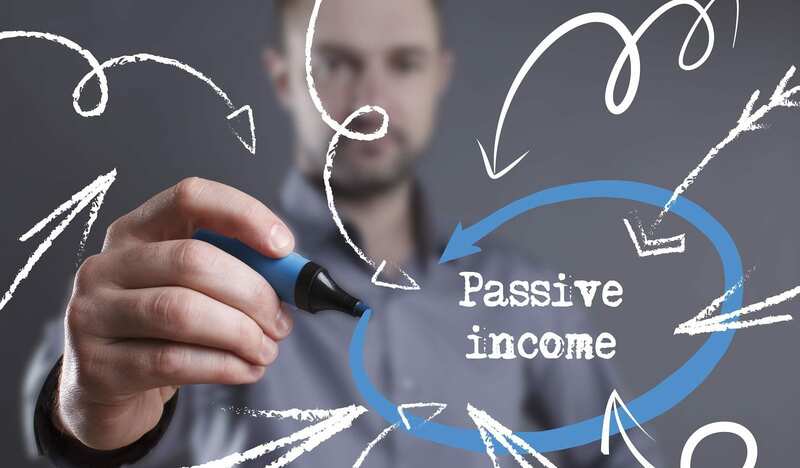 The idea of passive income investments in real estate investing tends to bring about heated debates among real estate investors. Being a landlord of rental properties is typically not synonymous with passive income investments. Specifically, when it comes to the rental property management of Airbnb investment properties. While this is a generally accepted truth of real estate investing, a quick online search of passive income investments in real estate will reveal convincing testimonials from real estate investors who have quit their full-time jobs, travel the world, and rely financially on Airbnb rental income from what they refer to as passive income investments. Why does this contradiction exist? Can Airbnb investment properties actually be passive income investments? How have other successful real estate investors managed to make passive income from Airbnb rentals? To come up with a definitive answer, let’s start with exploring what passive income really is. The way passive income investments are defined can vary from real estate investor to real estate investor. Some see passive income investments as a way of making money in real estate without lifting a finger. Inside of this definition, Airbnb rentals can only be considered passive income investments in one way: with the use of professional property management (which is a great option for passive income). But what if we’ve been looking at passive income investments all wrong? Think of it in comparison to a full-time job. In order to make a monthly income, the average employee puts in 8 hours a day and gets compensated accordingly for every hour he/she puts in the work and effort. This is active income. What some successful real estate investors manage to achieve is this: working maybe a few hours a day in order to generate income. Working less is the overlooked part of the definition of passive income investments. Any employee would agree, it’s much more desirable than traditional active income. With this definition, it’s totally feasible that Airbnb rental properties can be passive income investments, and we’ll show you how! Airbnb rentals may not be passive income investments right away, but they can be eventually with time and experience. A real estate investor may be working what feels like a full-time job initially. With the right steps, though, Airbnb rental properties can become passive income investments. Start making money in real estate passively right now. Sign up for Mashvisor to find Airbnb investment properties. When it comes to achieving passive income from short-term rentals, it’s all about how a real estate investor approaches real estate property management. For passive income investments, rental property management needs to be automated as much as possible. Airbnb rentals can make for some of the best real estate investments because of the rental income they generate from numerous bookings over the course of a year. But it is these bookings, along with check-ins and check-outs, that take up most of the time of the real estate investor. Luckily there are great services out there that automate many aspects of Airbnb rental property management. Smartbnb is a well-reviewed option for software that helps a real estate investor reduce redundancy in almost every aspect of rental property management. Automate and spend less time managing Airbnb investment properties without hurting their success in any way. Get a lockbox with a combination code that allows tenants to pick up the keys without you being there. Electric locks and smart locks make it so that the real estate investor doesn’t have to be present to let tenants in. Take the time to write a house manual for your short-term rentals: it should answer any questions tenants might have so you don’t have to. Part of the argument against the possibility of making money in real estate passively with Airbnb investment properties has to do with repairs and prepping a real estate property for tenants. If a real estate investor does not delegate these rental property management responsibilities, he/she will be stuck answering phone calls and running back and forth to the real estate property every time tenants arrive/leave. Instead, find a reliable handyman and cleaning service to handle these things for you. Tip #1: Ask if they have experience with other short-term rentals. Rental property management for short-term rentals differs from long-term rentals in many ways. Tip #2: Check to see if the professional property management has other rental properties under their management. If too many (more than 10 rental properties), make sure they have enough employees to manage; otherwise, walk away. If none, this professional property management won’t have enough experience to ensure the success of your passive income investments. Tip #3: Review listings for Airbnb rentals that they have created in the past to make sure they will bring bookings. Tip #4: Check reviews of any previous or current Airbnb investment properties that are under the professional property management. Tip #5: How much does this professional property management charge? Some charge from 10-30%. Make sure it fits your real estate investing budget. Related: What are The Best Passive Income Investments in The Real Estate Market? Airbnb investment properties can, in fact, be passive income investments. Automatization of rental property management or the use of professional property management are the top two ways successful real estate investors have achieved passive income from Airbnb rental properties. You too can start making money in real estate passively with Airbnb investment properties. As long as you’re willing to put in some time and work at the beginning of the real estate investing process, it can be a reality! Making passive income with Airbnb investment properties starts with choosing the right short-term rentals in the best locations. Use Mashvisor’s rental property calculator to find and analyze short-term rentals for real estate investing. What Does It Take to Have a Profitable Studio Apartment for Rent? What Real Estate Market Analysis Tools Should You Be Using?